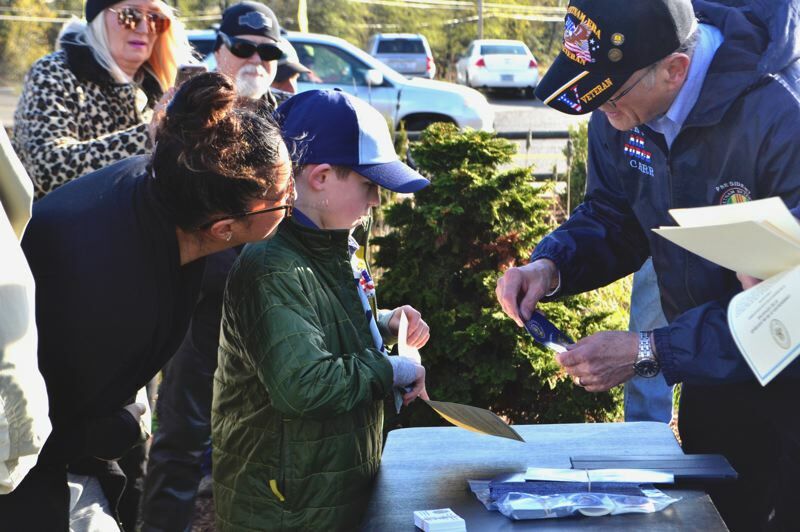 With a new memorial in place honoring Vietnam veterans, the community of Boring celebrated those who have served the United States with a ceremony on Veterans Day, Nov. 11, at the Boring Vietnam Veterans Memorial at Boring Station Trailhead Park, 28008 Keller Road. "The Vietnam War was the war of my generation," Steve Bates, chairman of the Boring Committee on Memorials and Remembrance, told the small crowd that gathered. "It was a time of tumult and division. Today, we come together to remember the lives lost and the families that were broken. And, we are here to honor all who served." 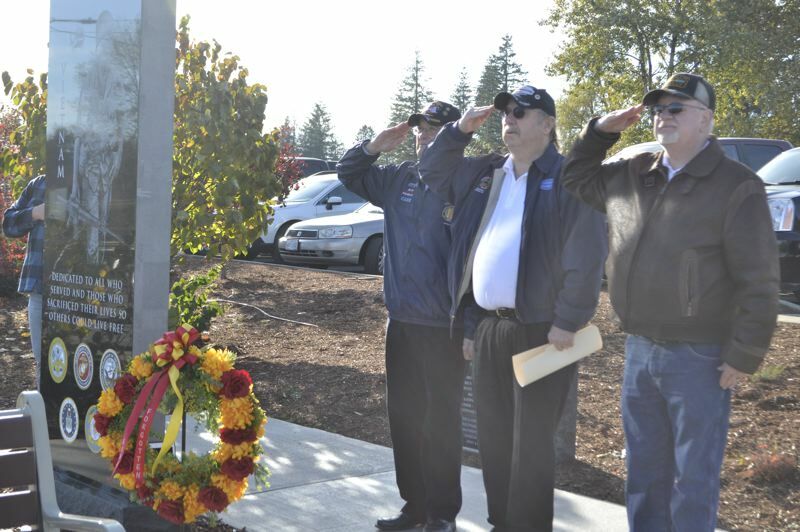 Representatives from the Vietnam Veterans of America Chapter 392 attended the ceremony and placed a ceremonial wreath on the memorial, which honors all 41 men from Clackamas County who died in the Vietnam War. "Veterans come in many forms," Vietnam Veterans of America Vice President Lawrence Cranford said. "Some volunteered and some were drafted. They wrote a blank check to the United States of America up to the amount of their life." Sandy Mayor Elect Stan Pulliam, Clackamas County Commissioner Paul Savas and House District 39 Representative Elect Christine Drazan were also in attendance.